As we all know that the summer season has started now and after listening to the word ‘summer’, all are planning for summer vacation and why not? Summer means vacation and vacation means? Yes, exactly! Vacation means Dehradun. Hello Everyone, how are you all? I know you all are very excited because the summer season has knocked our mind and hearts. Through this article Top 11 Places to Visit Dehradun Uttarakhand in Summer, we are giving best option for your summer vacation so that you can enjoy your summer season very well. Dehradun is enriched with many heavenly things like its lovely people, weather, waterfalls, valleys, religious places, rivers, architectural buildings, markets & shopping places, picnic spots, sightseeing, domestic airport, railway station, bus stands and mouthwatering food junctions and places to visit. Here in this article, we are here to provide the best and top Top 11 Places to Visit Dehradun Uttarakhand in Summer. Vacation in Dehradun is like a vacation to heaven. So don’t miss the opportunity to visit this summer and fall in love with this place. Dehradun (देहरादून) or Dehra Dun, is one of the ancient cities in India and the capital city of Uttarakhand – the Land of Gods and Goddesses. Dehradun which is popularly known by its short and beautiful name i.e. Doon Valley or Dun, is the blink of the great Himalayan ranges. It is the valley that is place between the Himalayas and Shivaliks. The word Dehradun has assemble by two words, first is Dera – which means temporary settlement or camp, second is Dun – which means valleys or mountains. That’s why, it is the favourite place of folks who love camping, trekking, rivers, lake, adventure and fun. Dehradun is a small city situated in the foothills of Himalaya. In simpler words, the doon valley is a heaven covers by beautiful lush green mountains and also, the tributaries from various rivers are growing the charm of this heavenly place. Along with the favourite place of picnic and vacation spot, Dehradun is becoming famed for many things. Now, the doon valley is the growing education hub of Uttarakhand. There are many institutes and academic schools from where the celebrities of India have completed their studies. But not only the academic institutions of Doon Valley are the spark of light, The city is now the business hub for many adventure games, camping, and tours. Dehradun is the first choice in every field like travel destination, an education hub, business hub and the best place to spend spare time in peace. So, why are sitting at your home, just pack your bags, move to the city and grab breathtaking moments of your life. # Sahastradhara – The Thousand Fold Spring ! Sahastradhara is the pure river coming from the midst of high mountains. The river comes down from the hilly areas convert it into many dharas and slow down its speed moving towards the Dehradun city. Due to many dharas, the river is also known by Thousand Fold Spring. Sahastradhara is the most favorable place for all doonities and tourists for a picnic and to spend some chilling time with family and friends. The place is also famous for its sulphur water pools which are known for the medicinal merits and therapeutic value. The sahastradhara is the full package of fun as it has a water park, amusement park, ropeway, beautiful scenes for clicking selfies & pictures and many restaurants famous for their delicious food. The place is located at a distance of 15 kilometers far from Dehradun city in the state of Uttarakhand. Tourist can reach here by bus available at parade ground bus stand Dehradun. They can also hire an auto (vikram) or come from their own vehicle. The nearby airport is Jolly Grant Vehicle (36 km) and the rail service is Dehradun Railway Station (14 km). The way to reach sahastradhara is very beautiful, after leaving the plain area of Dehradun your eyes will rejoice by seeing the beautiful portray of mountains and river. Tourist can also move to the Chamasari place situated near Sahastradhara. The place is famous for its unseen beauty, waterfalls and riding thrill. The route for Chamasari heads from Sahastradhara bridge, take left after crossing the bridge. The road climbs and ends at the core untouched areas of Doon (not very wide). This route will lead you to various adventurous waterfalls, less visited forests and beautiful spots. The best place to visit Sahastradhara and Chamsari is summer. # Shikhar Fall – A Fall To Remember ! Shikhar Fall is not just a fall, it is the combination of many things full of fun. The route is a kind of trekking which leads you to Shikhar fall. The path is filled with amazing views, dense trees, pure air, running river and the strong sound of the waterfall. The fall is situated at Kairwaan Goan Rajpur, Dehradun. The destination is 13 km far from Dehradun city. 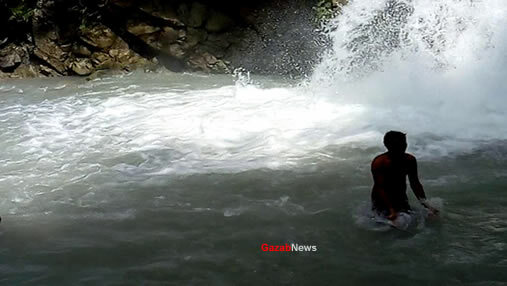 Shikhar Fall is the picnic and rejoicing point of people. The total trekking part of this place is 1 km. There is a maggie point between the trek which can be a stop and resting point for tourists. The way to fall is full of small and big stones, so it is suggested to wear good and comfort shoes. After dipping in the water of fall, you will feel fresh, pleasant and cheerful. Tourist will find different species of bird, most of the people come here for photography. The best place to visit Shikhar fall is summers and it is advised to avoid visiting on rainy days. # Robber’s Cave – A Perfect Weekend in Dehradun ! If you like a place full of suspense then this is the right place for you all. 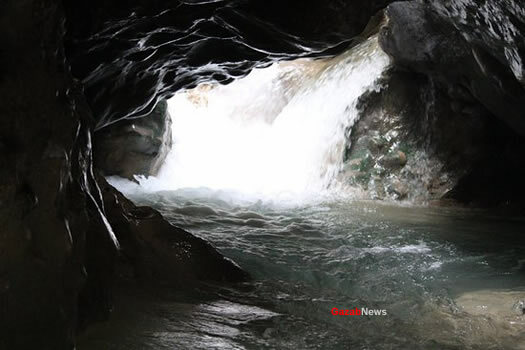 Robber’s Cave which is locally known by Guchhupani, situated in Dehradun City. It is believed that earlier robbers used to hide in Guchhupani after the robbery, so the Britishers named it as Robber’s Cave. This adventure place begins with a very large parking lot where people park their vehicles. After collecting the ticket, tourists can enter the spot. 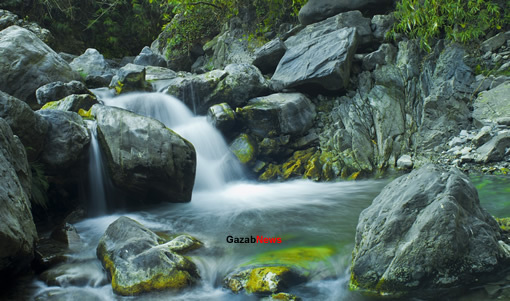 The gateway of Guchhupani starts with a large natural cave from where the water comes out. After moving ahead the cave will become narrow and you will get to see the beautiful big stones which are always wet due to the continuous running water. The stones are so much dense that the sun rays barely reach to the ground region of Robber’s cave. At the end, you will find the 10 meter high fall where people enjoy and click pictures. Some people go further to see more unseen natural beauties of mountains, it’s like a trekking. The whole journey of Robber’s cave is speechless and wonderful that one cannot utter in words. 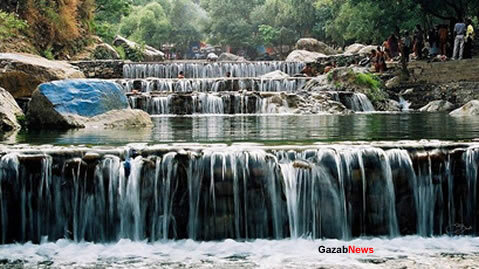 The place is popularly famous for picnic, hiking and wading spot where a river flows through a narrow cave. You can dip your feet in the ice-cold water of the cave and walk through it. It is always advisable to carry an extra set of clothes as one may get wet while playing with water. Bathroom and locker facility is available at Gucchhu Pani. It looks amazing when you eat momos, noodles at the bank of water where many shops are giving awesome fast food. Its a worth place for celebrating the weekend. It is located at Anarvala, 8 km away from Dehradun city. Tourists can take a local bus from parade ground bus stand, the bus will drop you from Anarvala market there you will trek to Robber’s cave. You can also, hire three-wheeler to reach the final destination. # Maldevta – A Place For Good Time ! Maldevta is a small town or village on the outskirts of Dehradun. It is located near Raipur and 8 Km far from the main Dehradun city. When we thought about a village, it seems like few houses, a small market, a river and lots of beautiful scenic views. Maldevta is exactly like that. It is the wonderful place for every person like if anybody wants to spend time alone, then this is the best place for meditation or sitting silently observing the nature. If anybody is in a party mood, then again it is a good choice, because this place is best for a picnic. The way to Maldevta is amazingly covered with small large mountains and lush green farms, and the canal which is running parallel to us. The calm surrounding and the River Song, is the tourist attraction of this place. You can go for a nature walk, soak in the cool water, play adventure games and enjoy with your family and friends. You can also visit the ancient Maldevta temple there and feel the essence of Lord Shiva. You could not be hungry here, a few small shops where you can buy eatables items. If you are in the mood for camping, then Maldevta Farms is the best option for you. Time spent with the farm is the most memorizing, so you should do that once. The best time to visit Maldevta is summer in the month of April to June. To reach Maldevata, you can take public transport (magic) from Raipur. # Lachhiwala – A Picnic Spot ! If you are finding a picnic spot in summers 2018, then Lacchiwala is a good option. Lacchiwala is a very popular spot among youngsters, they do visit there and chilled out the day with their group. The spot is a great option for picnics and celebrating birthday’s. Lacchiwala is located in Doiwala, outskirts of Dehradun. The tourists and local people attract towards the destination for its grassy forest, man-made pools and a beautiful scenic setting, managed by the forest department of the state. Lacchiwala is the perfect destination for fun-loving folks because it is providing the calm and chilling environment for visitors. The water in the pools is directly coming from the Song river. Recently, Lacchiwala has changed its name to Nature Park which is a popular picnic spot situated at Haridwar-Rishikesh road and 22 km away from Dehradun. The Nature Park is often crowded on weekends and holidays. There are no entry fees. Lachhiwala is well connected with the main road. Regular buses are available from Dehradun, Rishikesh (35 km) and Haridwar (42 km). The nearest rail connectivity for Lacchiwala is Dehradun Railway Station and the nearest airport is Jolly Grant Airpot which is just 8 km from Lacchiwala picnic spot. # FRI – The British Imperial Building ! FRI Dehradun is famous for its architecture, history, and photography. This astonishing building was made by the Britishers and their peoples. The local people come to this place for clicking beautiful pictures in front of the building, long & beautiful lawns with full of soft green grass. The place is also famous for entertainment like shooting local videos, movies or any other scene of TV. Mostly, the lovely couples were found there spending and capturing their quality times. FRI stands for Forest Research Institute (वन अनुसन्धान संस्थान देहरादून), which is established as Imperial Forest Research Institute in 1906. There is no best time to visit FRI, as you can come at any time you prefer. The convenience for reaching this place is available from the clock tower of Dehradun City. # Buddha Temple – A Buddhist Architecture ! If you love Buddha or if you gain positive energy, then Buddha Temple is the great place for you. This temple is made by Buddhists community or followers of Buddhism to worship Lord Buddha. The surrounding of this temple represents the pure land or pure environment of a Buddha. The traditional Buddha Temples are basically designed to inspire the inner and outer peace. 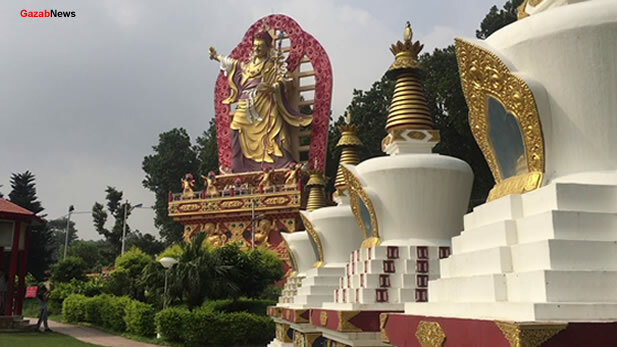 Buddha Temple is a Tibetan religious place situated in Mohabewala, Clemen Town, Dehradun few kilometers away from ISBT Dehradun. It is also famous for Buddha Monestry or Buddha Garden. The greenery and scenic view of this place attract tourists and Buddhism followers a lot. It is the Tibetan monastery also known as Mindrolling Monastery build in the year 1965 by his eminence Kochen Rinpoche and other monks for the protection of Buddhism religion and culture. The garden of Buddha Temple is the perfect picnic spots for local people. ISBT Dehradun is the transport source for reaching Buddha Temple, there you will find a bus, vikram and cabs. So, pack your bags and plan your day to Buddha Temple for mental peace from the enlightened atmosphere. # Riverstone Cottage – A Place to be in Nature with Comfort ! Well, if you want some quality time with nature then this is the perfect place for you. Riverstone Cottage is amazingly designed resort in the foothills of Mussoorie along with the beautiful river. 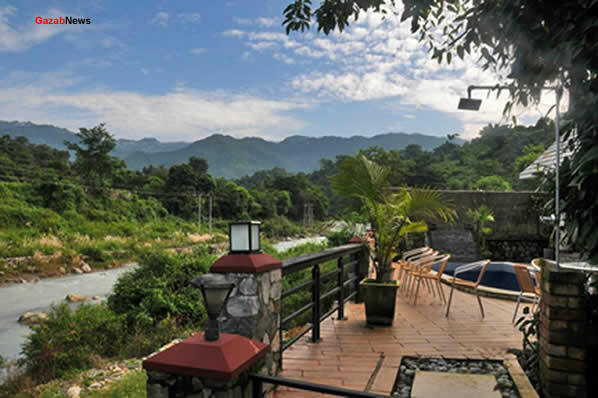 The resort has a wonderful scenic location in the peaceful valley with lush green mountains on one side and the sound of the river on the other. The place is best for rejoicing yourself and enjoying the cool breeze of mountains, pleasant river sound, the bird’s chirps and the peace. It is the perfect place for your summer vacation and to retreat yourself from the hustle bustle of the city. Riverstone Cottage is situated at Guniyal Gaon, Lakkhi Bagh, just a few kilometers away from the Dehradun city. This is the place where you can enjoy the sunrise and sunset, just by sitting on the chair holding hands behind your head. So, what are you waiting for? Book today the package from the Riverstone Cottage. You can check the availability of rooms online so that you can enjoy your morning breakfast near the banks of river and night under the stars. The transport facility will be available from ISBT Dehradun. You can also, hire the cab online for Riverstone Cottage. 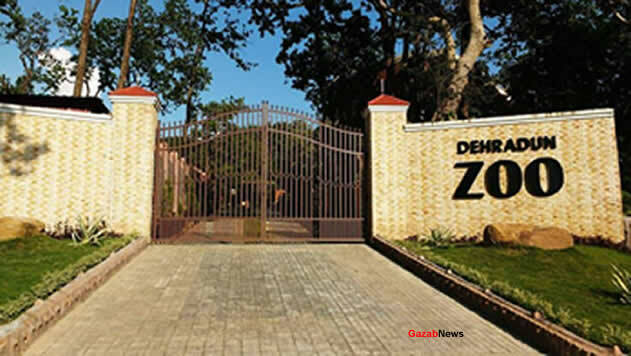 # Dehradun Zoo – The First Zoo of Dehradun ! Dehradun Zoo which is formerly known by Malsi Deer Park located in the foothills of Mussoorie highway and it is about 10 km away from Rajpur Road, and 15 km from ISBT Dehradun. The Zoo is the greatest wildlife lovers attraction after Rajaji National Park. The mini zoological park is now renovated as a famous picnic or family outing spot and the Zoo is full during weekends. The zoo is the attraction of all age group people but mostly the kids enjoy the swing and aquarium section inside the Zoo. The Zoo has aviary section, deer, reptiles, and wildlife section. It is built with the motto to conserve the wildlife and biodiversity, to develop as an education centre and a rescue centre for wild animals. To gain the experience of natural beauty and animals, visit today. The entry fee is 10 rupees per head and the timings for opening is 10:00 AM to closing is 5:00 PM, Monday is the closing day of Dehradun Zoo. You can take a bus from the clock tower to Zoo. The regular bus service is available. # Tapkeshwar – A Holy Temple of Lord Shiva ! Tapkeshwar Mahadev Temple is one of the ancient temple of Lord Shiva. The area of the temple is covered by forest and one seasonal Asan river flows at the time of Rainy season. Inside the temple, a natural cave exists where the Shiva linga is placed and water drops trickle down from the ceiling of the cave in a continuous way, the center attraction of all devotees and due to this scene, the temple is known by Tapkeshwar Temple. The belief for this temple is that the Dronocharya (the teacher of Pandavas and Kauravas) once resided in the small cave. Thus, the cave is named as Drona Cave, after his original name. The total distance of the temple from the main city is hardly 6 km. The beautiful temple of Shivji was build in between the two hills which attract a large number of tourists and devotees. It is the famous and nearest popular pilgrimage of Lord Shiva. 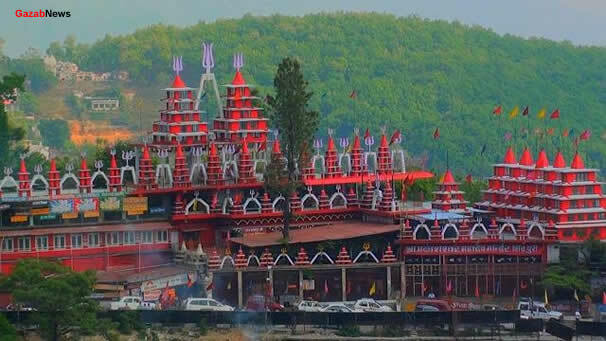 The temple is situated in Garhi Cantt which is 6 km away from the Dehradun City. Devotees can reach easily to Tapkeshwar Temple by bus or auto. The nearest rail facility is at Dehradun Railway Station which is 7 km far from Dehradun and tourist can also come through Airpot at Jolly Grant Airport, 32 km from Dehradun city. # Shiv Mandir – Prakasheshwar Mahadev Mandir ! Shiv Mandir is the gateway to Mussoorie, Dhanaulti, Chakrata, and Chamba. All the tourists or travelers give their devotion to Lord Shiva and start their journey. The temple is known as Prakasheshwar Mahadev Mandir among local folks of Doon as well as devotees. The temple is fully dedicated to Lord Shiva and there are many Sphatika Shiva linga of Shivji where thousands of devotees and offer water and pray for their prosperous life. 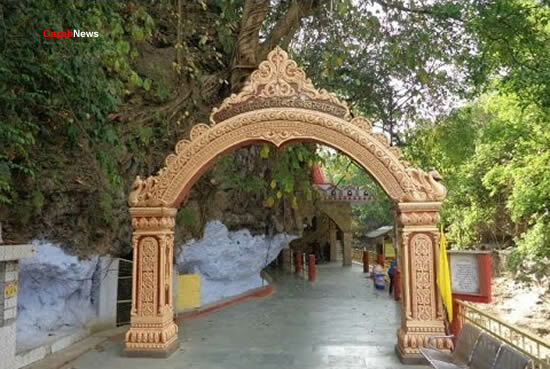 The Shiv Mandir is situated in the beautiful down the Mussoorie road slope location in the lush greens, where one can find complete peace of mind in the calm and cool fresh air. There is Bhandaara every other day in the Shiv Mandir where the prasaad is distributed to the people visiting the temple. The temple is famous for their original gems and stones shops and this is the centre of attraction with the peace surrounding inside the Shiva Temple. The best part of this temple is that you don’t have to donate for the sake of God and the staff members of temple offer the delicious kheer and tea for their devotees. If you ever reach Dehradun City, then you should go to this temple for inner peace and happiness. Tourists can take transport facilities from Clocktower or ISBT bus stand.